When looking at the beautiful collection of photographs from this wedding, you can imagine the detail, time and attention which went into putting together this perfect day. I loved that when I first chatted to Katja, her priorities included booking my services along with the talented Jack and Jane. We managed to find a suitable date with the trendy White Light venue and set to work to create something spectacular. 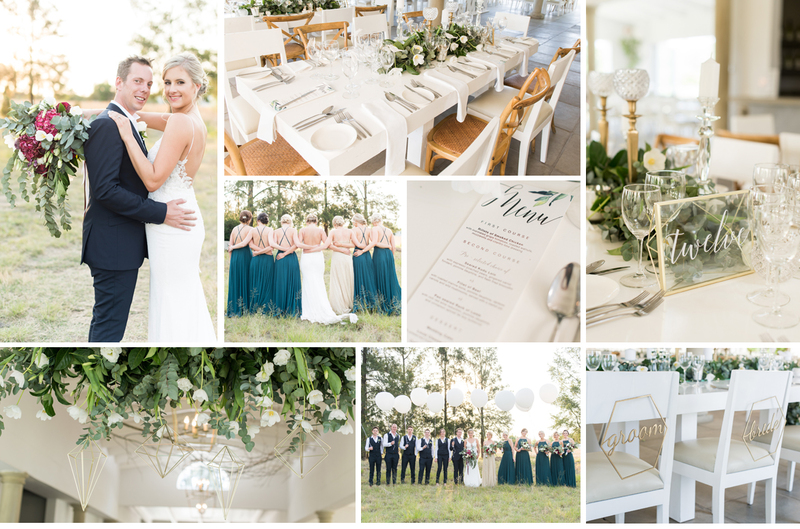 Khali, Shannon and the team from The Wedding Specialist turned Katja’s folder of inspiration into real life and incorporated the elements of green and gold so elegantly. We loved the geometric shapes and the hanging feature above the main table. Coupled with the stationery created by the bride and her best friend, everything complimented each other to create the most perfect setting. Definitely one of my most memorable opening dances with the popping confetti and a dancefloor which never ceased until the early hours of the morning. Special thanks to Liam from Pulse DJ’s who knows how to get the party started. Certainly a memorable one for The Wedding Event and always special to work with friends and the ever talented Jack & Jane.